The outlook for widespread natural gas development in New York is still unclear as policy makers and other stakeholders continue to debate the risks and benefits. But what is certain is that much of upstate New York contains rich natural gas reserves beneath the ground that could be developed someday. 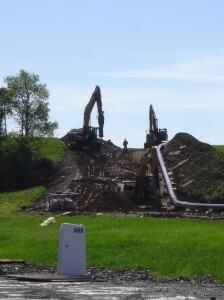 Therefore, it is likely that energy companies will continue to seek leases with rural landowners for drilling and related activities such as pipelines, compressor stations, water storage and access roads. At the same time, many landowners have come to realize that natural gas development affects more than just their individual properties. 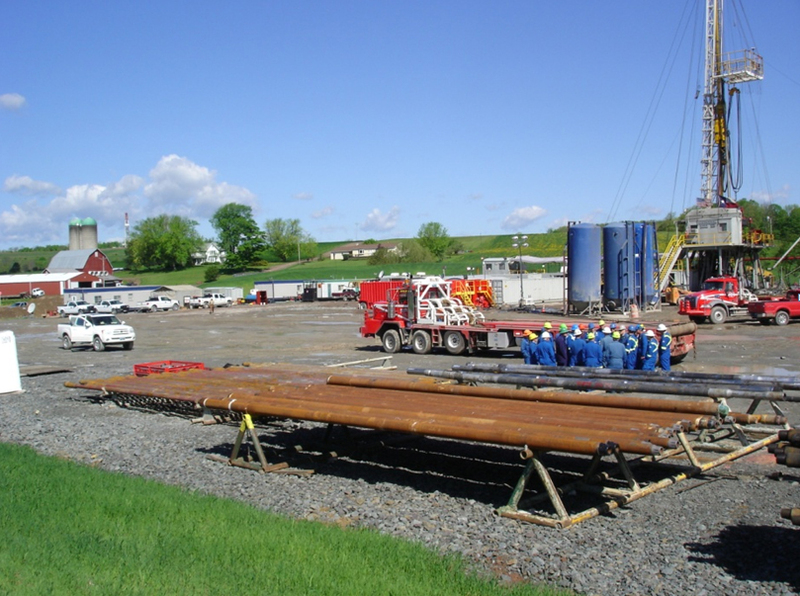 Experiences from Pennsylvania and other major gas development regions have shed light on both the positive and negative impacts that extend throughout communities. Nonetheless, many landowners will be attracted by leasing incentives and therefore must evaluate the choices in the context of their own situations. Covering all the issues that one needs to consider before leasing would be impossible, but the following are some key points to protecting your interests and those of neighbors. Join (or form) a local landowner coalition. If no group exists in your area, consider starting one with your neighbors. The reason is simple: strength in numbers. Few landowners control sufficient acreage to be of strategic importance to a particular energy developer. But multiple landowners become a “force to be reckoned with” and can negotiate terms that most individuals cannot. Coalitions serve multiple purposes such as promoting common interests, collective marketing, the sharing of resources and expenses, and the leverage to bring partner companies to the table – both before and after agreements are signed. Most importantly, coalitions provide a forum for education and the collective sharing of experiences. Don’t sign a lease that you are uncomfortable with. Even if you are contemplating signing a lease developed by your coalition (which would presumably be more considerate of your interests than a lease developed by a natural gas company), have it reviewed by your own attorney to see if it sufficiently addresses your unique situation. Considerations like mortgages, conservation easements, ownership goals, and future plans for the property may require customized lease terms. Proposed modifications to the coalition’s lease – such as limiting surface rights – may result in a counter-offer or even a withdrawal of the bid. In that case, negotiation in good faith combined with patience will usually resolve initial differences between you and the bidder. Don’t be discouraged if the initial response to a request is “no”, and decide ahead of time what you are willing to compromise on. Retain your own consultant to supervise work done on your property. A lease is only as good as its execution. Consequently, leases should contain language that authorizes oversight and enforcement by the landowner’s qualified agent (such as a forester or other qualified professional). This is a common practice in timber sales where consulting foresters supervise logging activities and act as a liaison between the seller, buyer and buyer’s contractors (loggers) to mutually resolve issues and encourage a quality job. Two additional standard practices with professionally supervised timber harvests are to require the operator to post a performance bond and evidence of insurance prior to commencement of work. 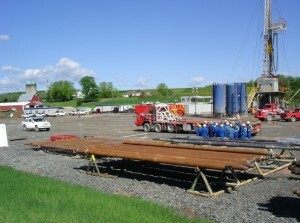 These are prudent and recommendable terms that can also be included in gas leases and easements. 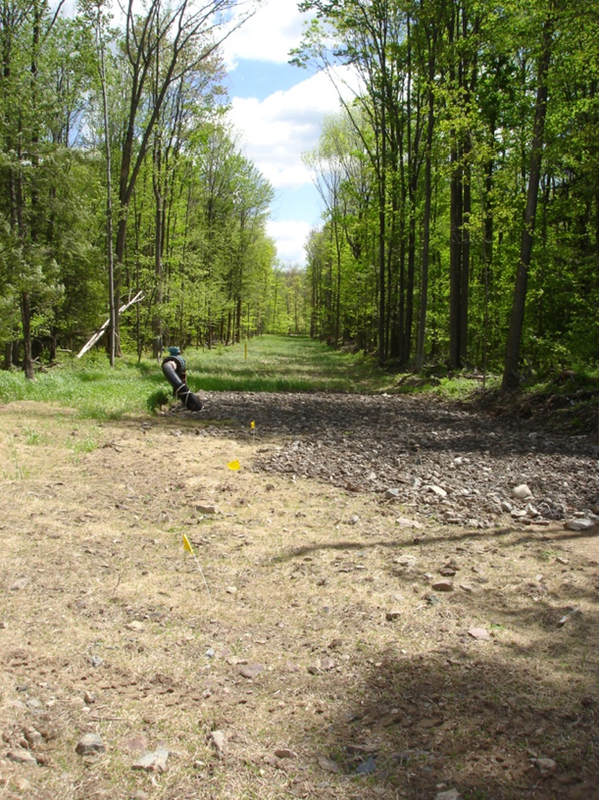 In some cases, public agencies like NYS Department of Ag and Markets, NYS DEC, and county Soil and Water Conservation Districts may inspect and oversee specific construction activities on your property. But hiring your own expert with a small portion of your leasing revenues will help fill in the gaps and ensure compliance with contractual agreements that are not regulated by others. Clearly define time frames, deadlines and compensations by written agreements. Before granting permission for any activity on your property, negotiate how long the company can take to complete the various phases, as well as compensations for non-compliance. This will create incentives for the operator to complete the project in a timely fashion, but also compensate the landowner when things don’t go as planned. Another important, but frequently overlooked consideration is long-term compensation for infrastructure and deed restrictions (easements) that affect property value and use. In the case of gas wells, landowners are compensated through royalties over the productive life of the well. But in the case of non-royalty bearing projects like utility rights-of-ways, landowners should either negotiate periodic “rental” payments for the use of their property, or include an expiration date for the agreement. All too often, landowners have felt compelled to grant permanent easements for a minimal one-time payment that does not adequately compensate them for the long-term impacts to their property value and conflicts with desired use. Brett Chedzoy is a Sr. Resource Educator in Natural Resources at Cornell Cooperative Extension of Schuyler County. He may be reached at bjc226@cornell.edu.